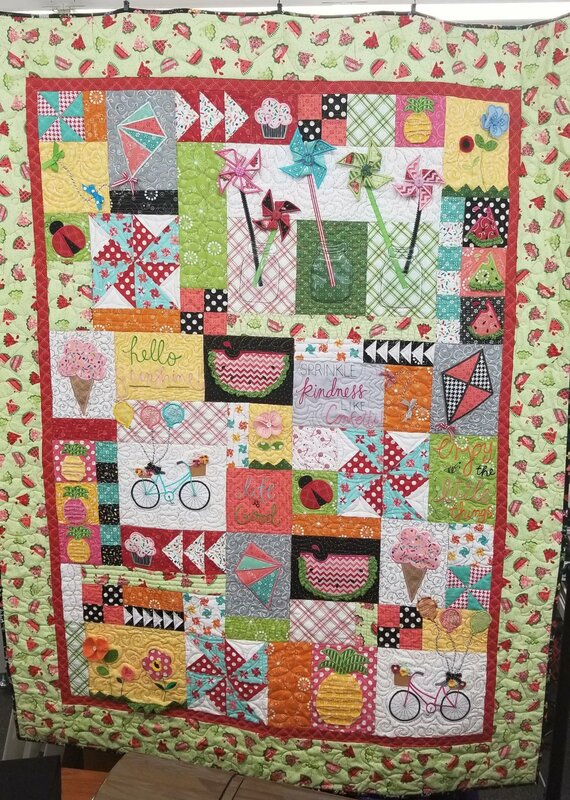 This fun, embroidered quilt by Kimberbell Designs includes unique dimensional embellishments that really make your quilt top stand out. Join us for a 6-month class as we assemble the embroidered quilt top. Quilt kit and pattern book sold separately. Must have embroidery machine with at least 6x10 hoop.